After a national research of over 600 lawyers and more than 250 nominations, we’re proud to present our list of the Top Latino Lawyers 2017. These leaders are not only successful and have amazing achievements throughout their careers, they also care, are involved and give back to the Latino community. We look forward to continue following them on their successful path and inspirational lives. Benny Agosto, Jr., a partner at Abraham, Watkins, Nichols, Sorrels, Agosto & Aziz is Board Certified in Personal Injury Trial Law. He has been named to the Best Lawyers in America® list, the Top Lawyers list by Houstonia Magazine, and the Top Latino Lawyers and the 25 Most Influential Hispanic Lawyers lists by Latino Leaders Magazine. He has also been honored by the State Bar of Texas, the Houston Bar Association, the National Association of Distinguished Counsel, the Houston Hispanic Chamber of Commerce, and South Texas College of Law Houston. Most recently, Mr. Agosto was recognized by the Latino Learning Center and was the recipient of the Humanitarian Award in the Male Philanthropist Category for 2017. He is the Founder and President of the Mexican-American Bar Association of Texas Foundation (MABATx Foundation). He is also a former President of the Hispanic National Bar Association (HNBA). Damian J. Arguello is one of the preeminent insurance law attorneys in Colorado. He rested on over twenty-five years of experience in the insurance industry when he founded Colorado Insurance Law Center, a private law firm and resource for commercial and individual insurance policyholders. Damian Arguello’s insurance law practice at Colorado Insurance Law Center is distinguished from other lawyers because of his unique background working in the insurance industry. For many years, he has also served as personal counsel for individuals and co-counsel for trial lawyers involved in litigation where insurance claims are an underlying issue. In addition to practicing insurance law, Damian is also a leader in the Colorado legal community. He is a Past-President of the Colorado Hispanic Bar Association, one of the largest minority bar associations in the state. For ten years, he has served as a guest instructor for the University of Denver Sturm College of Law in Insurance Law courses. Roberto Braceras, a Partner in Goodwin’s Securities, White Collar & Business Litigation group, has more than 20 years’ of experience in white collar criminal defense, securities fraud and complex commercial litigation. Mr. Braceras, a former federal prosecutor, has tried jury and non-jury cases in both state and federal court, and defended a variety of investigations before the U.S. Securities and Exchange Commission, the Massachusetts Securities Division, FINRA and other self-regulatory organizations. Mr. Braceras is ranked by Chambers USA: America’s Leading Lawyers for Business, for his White Collar Crime & Government Investigations work. He was appointed Vice Chairman of the Commonwealth’s Judicial Nominating Commission by Massachusetts Governor Charlie Baker, and in this capacity, has helped the governor fill five of the seven seats on the Massachusetts Supreme Judicial Court. Mr. Braceras also currently serves on the board of directors the U.S. District Court Criminal Justice Act (CJA) Panel, representing indigent defendants pro bono in federal criminal cases. David Cabrales is a renowned litigator with broad experience representing clients in government and commercial litigation matters. He represents financial institutions, securities broker-dealers, retailers, and life and health insurance companies in traditional and complex litigation, as well as in arbitration proceedings. David previously served as general counsel to Texas Gov. Rick Perry from 2007 to 2009, providing advice to the governor and the governor’s staff on a variety of topics at the intersection of law and public policy. He also served as principal economic development advisor for the governor and helped administer the Texas Enterprise Fund, the Emerging Technology Fund, Texas One and other programs in the governor’s economic development portfolio. In addition, Gov. Perry appointed David to the Texas Economic Development Corporation in 2010 and in 2014, and David served as chairman from 2010 to 2012. David is actively involved in the Hispanic community, serving on the Firm’s diversity committee where he advocates for participation in local, state, and national Hispanic bar events. He previously served on the steering committee for the State Bar’s Texas Minority Counsel Program and has been a presenter at CLE events hosted by the TMCP as well as the Hispanic National Bar Association. David informally serves as a mentor, peer, and sounding board for Latino and Latina attorneys in Dallas and around the state, as others served in that role for him. Cara is the first Latina partner at Dinsmore & Shohl LLP, a 650-attorney practice on the Am Law 200 list of the highest grossing U.S. law firms. She heads the firm’s Labor and Employment practice in its San Diego office, where her clients include both Fortune 500 Companies as well as start-ups. Cara also has significant experience conducting sexual harassment training, as well as workplace investigations on behalf of employers in connection with allegations of discrimination and harassment. Cara was named one of The San Diego Daily Transcript’s 2017 Influential Women, in addition to being named a 2017 Super Lawyer and a 2017 Woman of the Year Finalist for San Diego Magazine. She regularly provides commentary for various media outlets, including The San Diego Daily Transcript, where she writes a monthly column. In addition to being a leading voice for females and minorities in the legal industry, Cara makes it a priority to contribute to the community through volunteer work and mentoring younger female attorneys and students in her capacity as an instructor for the University of San Diego Paralegal Program. Al Cardenas is nationally recognized for his leadership in law, business and politics. He has served as an adviser to US Presidents. As a senior partner at Squire Patton Boggs, he chairs the Latin America and Florida Public Policy Practice Groups and is Deputy Practice Leader of the Public Policy Group. Ronald Reagan chose Al for his transition team, making him responsible for the transition of the US Department of Commerce. President Reagan also appointed him to chair the President’s Commission on Small and Minority Business Affairs and later as Special Ambassador to St. Kitts-Nevis upon that nation’s independence in 1983. Presidents Reagan and George H. W. Bush appointed Al to the Board of Directors of the Federal National Mortgage Association from 1985 to 1990. He also served on the President’s Trade Policy Commission. Governor Jeb Bush appointed Al as a member of the Board of Trustees of Florida Agriculture and Mechanical University. He is a former Trustee of Miami Dade College. Beto represents businesses affected by America’s immigration laws, and advises corporate and academic clientele seeking resolution on statutory and regulatory issues. He has extensive experience in drafting legislative solutions on diverse matters and in his state and local tax practice, assists clients with issues pending before governmental entities, including negotiation of tax abatements on behalf of newly constructed industrial and commercial properties, and industrial district agreements for facilities located in cities’ extra-territorial jurisdictions. During the 109th and 110th Congress, Beto served as general counsel to the senior United States Senator from Texas, the Honorable Kay Bailey Hutchison, advising her on judicial appointments, legal affairs, and legislative matters Building a better Houston is a passion for Beto, and he dedicates a substantial portion of his time to making sure nonprofit, civic and cultural organizations and poverty-stricken individuals have high-quality legal representation. He is a member of the board of directors of the Houston Food Bank, Interfaith Ministries of Greater Houston, Baker-Ripley, Texas Tech University School of Law Foundation, and the Houston Parks Board. During what is arguably the most impactful time in any person’s life, Northern Virginia divorce attorney Kristina Cruz Skidmore carefully guides her clients through their family law matters with zealous advocacy and compassionate listening. While out-of-court resolution is always her preferred outcome and initial goal for any client, Kristina advocates with poise, passion and legal acumen in the courtroom when settlement is not possible. Kristina has been recognized by her peers and by industry publications among the best and brightest attorneys under 40. In 2015, 2016 and 2017, Kristina was selected for inclusion as a Virginia and Washington, D.C. Super Lawyers Rising Star in Family Law. In 2014, she appeared on Lawyers of Color’s Second Annual Hot List, which recognizes early to mid-career minority attorneys working as in-house counsel, government attorneys, and law firm associates and partners. She was also recognized by Virginia Business magazine among its 2015 listing of Legal Elite, a compilation of notable attorneys throughout the state who are under 40. Since becoming an attorney in 1996, Emily Detoto has dedicated her entire career to the practice of criminal law. Detoto, Board Certified in Criminal Law by the Texas Board of Legal Specialization since 2002, is a graduate of Michigan State University and St. Mary’s University School of Law. Ms. Detoto worked as a briefing attorney at the Texas Court of Criminal Appeals and is a former prosecutor with the Harris County District Attorney’s Office. Detoto has been recognized in H-Texas Magazine: Best Lawyers in Houston 2004; H-Texas Magazine: Best Lawyers “For the People” 2005, 2006; Texas Monthly Magazine: Texas Rising Star 2004, 2005, 2008 and 2009, and in the United Who’s Who Registry. Ms. Detoto is a frequent lecturer at CLE’s across the nation. Emily is a graduate of the Gerry Spence Trial Lawyers College in Dubois, Wyoming and was selected to serve on the faculty of the Trial Lawyers’ College. Ms. Detoto has also served as a faculty member for the Texas Criminal Trial College held in Huntsville, Texas for nearly 15 years. In 2003, Ms. Detoto served as co-counsel in The State of Texas v. Clara Harris, also known as “The Mercedes Benz Murder,” and in 2011, served as Co-Counsel in the Polygamist Leader Trial, The State of Texas v. Warren Jeffs, Ms. Detoto’s cases have been featured on the “The First 48,” “Anderson Cooper,” “Good Morning America,” ”20/20,” and “Inside Edition. Juan J. Dominguez is a nationally recognized, award-winning, bilingual attorney. He is the founder and CEO of The Dominguez Firm, Inc.; a Los Angeles based personal injury, workers’ compensation and employment law practice with a legal staff of over one-hundred employees. In 2013, Mr. Dominguez was honored with distinction by the Hispanic National Bar Association with an Attorney of the Year award. In 2011, he was nominated Attorney of the Year by the Consumers Attorneys of California (CAOC). In 2014, the Mexican-American Bar Association honored Mr. Dominguez with the Special Recognition Award for his outstanding career accomplishments and contributions to the community. The Los Angeles Business Journal awarded him the 2015 Latino Business Award for setting the example for excellence. This ingrained compassion for those in need is reflected not only in the thousands of injury cases he has championed, but also in the over 50 charitable causes he supports in the U.S. and abroad, including scholarships, disadvantaged children, health, the homeless, and others. 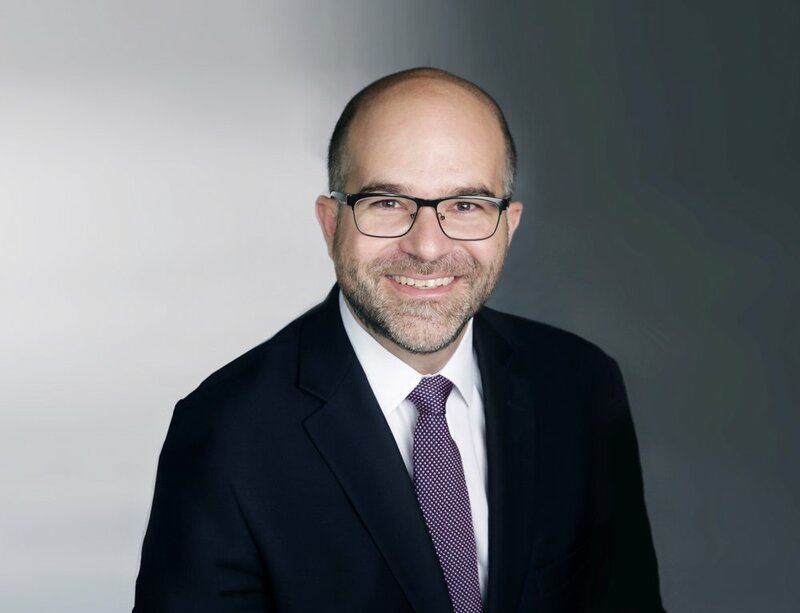 José Ricardo Feris is a partner in the International Dispute Resolution Practice Group of Squire Patton Boggs based in Paris. He represents private and public entities in commercial and investment arbitration proceedings. He also sits as arbitrator in commercial ad-hoc and institutional arbitration proceedings. Before joining Squire Patton Boggs, José was the Deputy Secretary General of the ICC International Court of Arbitration. At the ICC Court he also served as Deputy Counsel, Counsel, Managing Counsel Secretary of the ICC Latin American Arbitration Group, Co-Chair of the ICC Young Arbitrators Forum and Acting Secretary General. He was equally instrumental in designing and implementing ICC Court’s policies to increase efficiency, transparency and diversity in international arbitration. José assisted in the establishment of the ICC Court case management offices in New York City and Sao Paulo, the ICC Arab Arbitration Group, and an ICC Court representative office in Shanghai. He is a member of the Arbitrators Council at the Atlanta Centre for International Arbitration and Mediation, teaches international arbitration at Sciences Po in Paris and at the Universidad Francisco Marroquin in Guatemala City and is a regular speaker on international arbitration in conferences around the globe. He speaks, Spanish, English, French and Portuguese. Maritza Dominguez Braswell is a managing partner of Rollin Braswell Fisher LLC (RBF Law), a trial and appellate law firm with a national practice. She has played a key role in some of the largest cases stemming from the 2008 financial crisis including AIG’s challenge to Bank of America’s proposed $8.5 billion settlement of RMBS-related liability arising from Bank of America’s acquisition of Countrywide. Maritza has also represented local and national corporations, professional sport franchises, and large-scale developers. As a first generation Mexican-American, an attorney at the forefront of the country’s most complex commercial litigation matters, and one of the only Latina managing partners in the U.S., Maritza is committed to the advancement of Latinos. 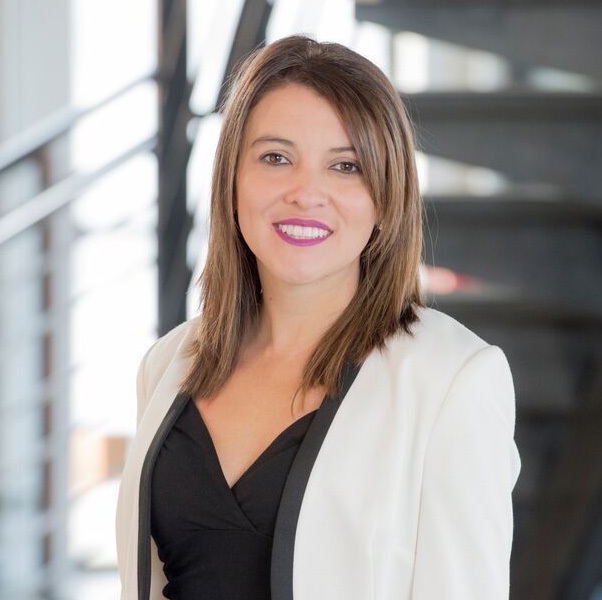 Maritza and her firm are members of the Hispanic Chamber of Commerce, contribute to organizations like the Hispanic Education Foundation, work closely with the Rocky Mountain Immigrant Advocacy Network (RMIAN), and hired the first DREAMer attorney in Colorado. Manuel A. Fernandez is a partner in Kasowitz Benson Torres LLP’s Transactional Real Estate group, where he represents financial institutions, as well as institutional and non-institutional investors, in real estate acquisitions and dispositions, commercial leasing matters, distressed real estate transactions, real estate financings and the formation of real estate joint ventures. Mr. Fernandez has handled some of the largest real estate transactions in Florida, including most recently the purchase of the Southeast Financial Center in a deal in excess of $500 million, hailed by the Miami Herald as the largest single-building transaction ever completed in Miami. Mr. Fernandez is regularly recognized by prominent legal publications as a leader in his field, including Chambers USA, Legal 500, Best Lawyers in America and Super Lawyers. Mr. Fernandez is also a leader in the Hispanic community. He was one of the co-founders of the organization Café con Leche Republicans, which advocates comprehensive immigration reform, and is involved in numerous community fundraisers and other activities. 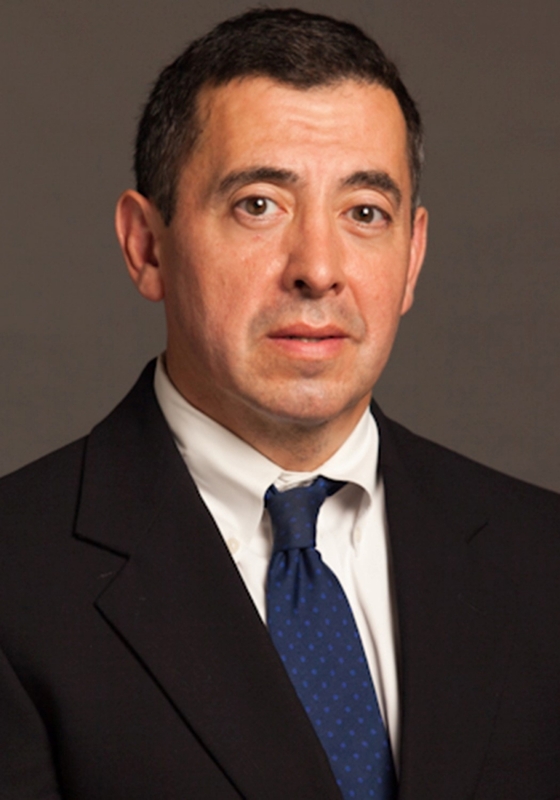 Adolfo Garcia is a Partner in Brown Rudnick’s Corporate and Capital Markets group. He has extensive experience handling various corporate and business transactions including financings, private equity, securities, mergers and acquisitions, joint ventures, investments, restructurings and contractual arrangements in the US, as well as most other parts of the world. Dolf also represents non-US based clients with their US based and/or US law governed matters. Dolf has done significant work outside of the U.S. including Western Europe, Canada, Central and South America, the Caribbean, Asia, India and the Arab Middle East on behalf of US and non-US clients. He has extensive expertise regarding US laws and regulations applicable to US and non-US clients doing business outside of the US such as the Foreign Corrupt Practices Act (FCPA), the UK Bribery Act, the Export Administration Act and US laws and regulations administered by the Department of the Treasury’s Office of Foreign Asset Control (OFAC) with focus on Cuba, Dolf’s country of origin, and various sanctions programs. Mr. Garcia focuses his practice exclusively on representing employers with their labor and employment needs. He has extensive experience in both federal and state courts representing employers. He has defended both individual and collective actions under numerous state and federal employment laws, including Title VII, the ADEA, the ADA, FMLA, FLSA, Florida’s private whistle blower statute, and all manner of retaliation claims. Mr. Garcia has also defended employment related torts such as defamation, negligent retention, negligent hiring, assault, battery and fraud, as well as all manner of breach of contract claims. Mr. Garcia has handled numerous trials and administrative hearings. Mr. Garcia has been featured as a speaker at numerous human resources and legal conferences throughout Florida. Mr. Garcia also represents employers in front of numerous administrative agencies such as the EEOC and the Florida Commission On Human Relations. Garcia specializes in complex federal and state criminal defense matters some of which can lead to immigration consequences. Amongst his specialties he also focuses on personal injury cases advocating for the Oklahoma community. Garcia has been involved on several boards such as the Latino Community Development Agency, Oklahoma County Law Library Board of Trustees, and the Youth Leadership Exchange Board, amongst others. He currently serves on the board of the Oklahoma County Bar Association and is a member of the Ruth Bader Ginsburg Inn of Court. Previous awards include OKC Biz 40 under 40 and the Journal Record Leadership in Law Award. Raed Gonzalez, Chairman of the immigration law firm Gonzalez Olivieri LLC, is the “secret weapon” behind the company’s success. His extraordinary technical expertise has afforded him three Supreme Court wins two of which changed and are leading cases in the dynamic field of immigration law. Cases such as Mata v. Lynch are hallmarks of Mr. Gonzalez’ strategic legal crafting and commitment to bringing a greater degree of fairness into Immigration Law by litigating difficult cases. Mr. Gonzalez is a supporter of comprehensive immigration reform, is a frequent speaker on immigration, a pro bono counsel for many nonprofit organizations and has received many accolades for his dedication and continued support of immigrant communities. He also assists the Harris Country Public Defenders Office, the Houston Police Department Eastside Community Services, he is the President of the Immigration Counseling Center a nonprofit serving low income immigrants and is a member of the Latino Learning Center to name a few. Mr. Gonzalez and Gonzalez Olivieri LLC Immigration Law Firm provide a wide range of legal services including litigation, naturalization, family immigration, legal services for employers seeking temporary business visas and permanent residence on behalf of foreign national employees, entrepreneurs, traders and investors. Gaela Gehring Flores, a partner at Arnold & Porter Kaye Scholer, concentrates her practice on international arbitration and litigation matters. She represents both multinational corporations and sovereign states in international commercial and investment arbitration before the ICSID, ICC, and ICDR/AAA, and in litigation and appellate proceedings before US federal courts. She advises clients in a broad range of disputes, including energy, natural resources, construction, hospitality, transportation, sovereign debt instruments, government contracts, and intellectual property. Ms. Gehring Flores also provides legal services to private sector and sovereign clients on enforcement of arbitral awards, effective contractual dispute resolution clauses, and a variety of public international law issues, including foreign sovereign immunity and discovery in international proceedings. Ms. Gehring Flores’s practice capitalizes on her broad experience, native Spanish skills and bicultural background. Arnulfo D. Hernández and Christine M. Hernández are shareholders of Hernández & Associates, P.C, the leading Latino owned criminal defense and immigration law firm in Colorado and the largest immigration law firm in Denver. Managing partner, Arnulfo D. Hernández, is a go-to for criminal defense, representing individuals and corporations in state and federal matters. Christine M. Hernández heads the firm’s full-service immigration practice and represents individuals, families, and professionals before various local, national, and international governmental entities as well as federal courts of appeal. Arnulfo and Christine both practice “Crimmigration,” an emerging area of law that blends criminal defense and immigration law. Arnulfo is Regional President of Region XIII of the Hispanic National Bar Association (HNBA) and is immediate past President of the Colorado Hispanic Bar Association. For the last three years, Christine has been the Chair of the Immigration Section of the HNBA. She has been an active member of the American Immigration Lawyers Association since 2005. They have both been named Rising Stars by Colorado Super Lawyers and Arnulfo was selected to the 5280 Top Lawyers list in 2017. Dallas, TX; Amarillo, TX; Playa del Carmen, Mex. Hernandez came to the United States as a little boy. He later attained residency and served in the United States Army for 8 years where he attained citizenship. He earned his Law Degree from Baylor University and has represented injured people and families across the country for over 20 years. He has helped thousands of clients with their injury cases and has recovered hundreds of millions of dollars for suffering families. Mr. Hernandez and his legal team take on complex catastrophic injury and death cases and give back to the community in many different ways. Elsa Manzanares advises clients on U.S. and international regulations governing the import and export of goods, technology, software and services. She has successfully represented companies facing investigations by the U.S. Department of Commerce and Department of State for violations of U.S. export regulations. Elsa also represents clients before the Office of Foreign Assets Control (OFAC) on sanctions and embargoes programs, including Russia, Iran, and Cuba. In addition, Elsa advises clients on the import regulations administered by U.S. Customs and Border Protection, including product valuation, tariff classification, country of origin, and free trade agreements, such as NAFTA. Elsa has advised clients in numerous industries, including software, manufacturing, energy, aerospace, and retail. She is a former member of Law 360’s Editorial Advisory Board for International Trade. Elsa was recently appointed by the U.S. Trade Representative to serve on the roster of panelists eligible to review antidumping duty disputes under the NAFTA Chapter 19 dispute settlement process. Elsa received a BA from Yale University, an MPP from Harvard Kennedy School, and JD from the University of Texas School of Law. With more than 19 years of experience, Partner Jorge Leon has counseled employers in the manufacturing, education, defense, IT, and food and beverage industries on the design, establishment, and maintenance of retirement plans. His work has established national benefits policy with the IRS, has helped clients meet their goals and has ensured that several hundred thousand workers across the country can meet their retirement needs. Leon is honored as a Recognized Practitioner, Employee Benefits & Compensation by Chambers USA, and various publications have sought his insight regarding employee benefits matters. He has implemented various diversity initiatives at Michael Best and currently serves as the firm’s Diversity & Inclusion Committee Chair, as well as on the Board of Directors for Chicago’s Gads Hill Center. In these roles, Leon has positively impacted the Latino community. Erica Mason is a labor & employment partner in the Atlanta office of Constangy, Brooks, Smith & Prophete. Her practice focuses on litigation involving claims of employment discrimination, harassment, wage & hour violations and other employment-related matters. Erica is also a nationally-recognized speaker and trainer on a wide variety of issues including employment law; diversity, inclusion, and implicit bias; leadership training for women and minority attorneys and executives. Erica has received numerous awards and recognition for her work as an employment lawyer including the “GA Super Lawyer’s Rising Star” (7) times, GA Trend’s “Legal Elite” (3) times; “Best Lawyers in America” (2) times; GA Trend Magazine’s “Top 40 Georgians Under 40”; Lawyer Monthly’s 2017 Women in the Law; Women of the Year Law and Justice Award; and Latino Leaders “Top Latino Lawyers Award 2017”. She also serves as Board Director of OnBoard Now, an organization dedicated to increasing the number of women on corporate boards in Georgia (2015-present), and is the current President of the Hispanic National Bar Association. Jessica A. Massey is Senior Associate Counsel at Wal-Mart Stores, Inc., where she conducts legally privileged, internal Foreign Corrupt Practices Act (FCPA) and financial integrity investigations. She provides daily legal advice to Walmart’s Global Ethics & Compliance Department on various topics including global company policies and procedures, monitoring, and associate messaging and training worldwide. 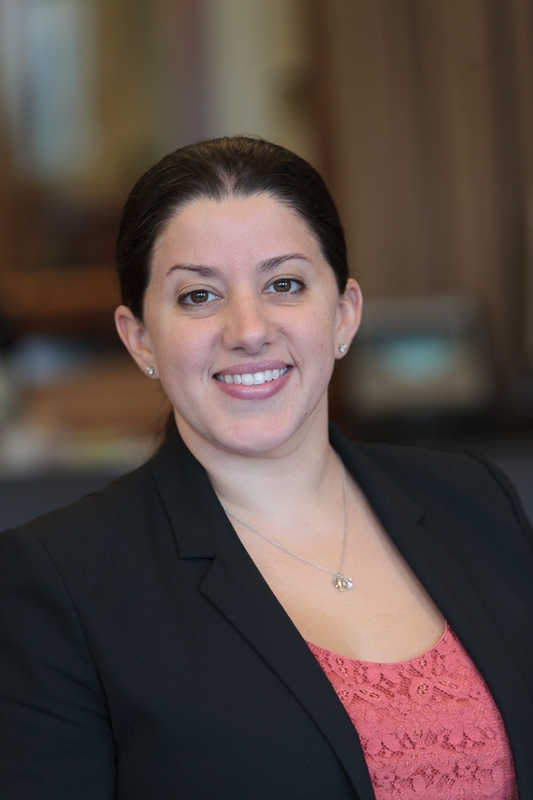 Previously, Jessica was a criminal prosecutor for over eleven years, serving at both the Massachusetts Attorney General’s Office and the Suffolk County District Attorney’s Office in Boston. Jessica currently serves as National Secretary for the Hispanic National Bar Association (HNBA) and Director At Large for the Northwest Arkansas Chapter of the Association of Latino Professionals For America (ALPFA). She received her J.D. from Suffolk University Law School and her B.A. from the College of the Holy Cross. Jessica has been recognized repeatedly for her leadership and volunteerism, was named an HNBA Top Lawyer Under 40 in 2016, and became an American Bar Foundation Fellow in 2017. Richard Montes de Oca is the founder and Managing Partner of MDO Partners, a boutique law firm focusing on Corporate, International and Real Estate Law, Global Compliance and Business Ethics. Richard is an AV-Preeminent Rated attorney in Corporate, Contracts and International Law, specializing in corporate governance, corporate finance, mergers and acquisitions, securities transactions and global compliance. Prior to establishing MDO Partners, Richard was AVP and Assistant General Counsel of Royal Caribbean Cruises. Throughout his career, Richard has represented clients with international corporate transactions valued at over $5 billion in more than 30 countries. Richard is an Adjunct Professor of Law at the University of Miami School of Law, serves on the Executive Council of the International Law Section of the Florida Bar, Community Investment Committee of the United Way of Miami-Dade and the board of Miami Finance Forum, a member of the Board of Governors of the Greater Miami Chamber of Commerce, and Co-Chair of the Financial Stability Impact Council. Marcela A. Mendoza is a Principal in the Denver, Colorado, office of Jackson Lewis P.C. Ms. Mendoza has experience working with clients that range from Fortune 500 companies, start-up companies, U.S. branches of global corporations, and individuals. Since 2001, Ms. Mendoza has been advising companies, families, and individuals on temporary and permanent visa options. Her practice covers all aspects of employment-based immigration. Ms. Mendoza manages the green card process for multinational managers, individuals of extraordinary ability, and labor certification for skill workers. She also has extensive experience in guiding foreign-born clients through consular processing. Ms. Mendoza also specializes in temporary visa processes and has significant experience in immigrant and non-immigrant process for professionals in the technology, education, research, energy, banking, and healthcare industries. Ms. Mendoza also advises corporations on compliance issues, I-9 audits, E-Verify, and Department of Labor-related audits. Additionally, Ms. Mendoza counseled management in the areas of affirmative action compliance, representing the company in compliance evaluations and administrative review audits initiated by the U.S. Department of Labor’s Office of Federal Contract Compliance Programs (OFCCP). José Olivieri is the co-managing partner of Michael Best’s Milwaukee office. He is the chair of the Higher Education Industry Group, the founder and co-chair of the firm’s immigration law practice, and the former chair of the firm’s Labor & Employment Relations Practice Group. Clients depend on José’s deep knowledge of and experience with U.S. immigration law and employment-based immigration matters, such as immigration status, consular processing, citizenship and naturalization, among others. José counsels colleges and universities on issues including, employment matters, governance, Title IX, student discipline, and labor contract administration. He has been recognized as a leading immigration lawyer by Chambers USA since 2008, was named 2018 Best Lawyers in America®, “Lawyer of the Year” for Employment Law – Management in Milwaukee, and received the 2016 Executive Leadership Award from the Hispanic Professionals of Greater Milwaukee. José is an active member of various community and professional organizations, including roles as Board President of Milwaukee’s United Community Center and Chair of Carroll University’s Board of Trustees. Alejandro Peña-Prieto is the managing partner of Squire Patton Boggs’ Santo Domingo office and heads the firm’s Caribbean and Central American Desk. He concentrates his practice on providing strategic business counsel to US, Latin American and European investors with significant business interests in the Dominican Republic, particularly in the energy, banking and finance, real estate and hospitality and consumer products sectors. Alex served two terms as president of the American Chamber of Commerce of the Dominican Republic, where he has been a member since 2000, and one term as vice chair of the board of governors of the Association of American Chamber of Commerce of Latin America (AACCLA). He is also a member of the board of directors of the Association of Foreign Investment Companies of the Dominican Republic and a member of Fundación Institucionalidad y Justica (FINJUS). From 2011 to 2013, Alex served on the board of directors of the Center for Alternative Dispute Resolution of the Chamber of Commerce and Production of Santo Domingo. Eva Plaza is Of Counsel in Meyers Nave’s Trial and Litigation Practice Group and Municipal and Special District Law Practice Group. She represents private businesses and public entities in a wide range of litigation, transactions and regulatory matters. Eva began her career at the Attorney General Honors Program of the U.S. Department of Justice in Washington, D.C., where she served as a trial and appellate attorney in the Commercial Litigation Branch. In addition to private practice at the law firms of Arent Fox and Seyfarth Shaw, Eva’s background includes being appointed in 1997 by President Bill Clinton to a Senate-confirmed position as Assistant Secretary at the U.S. Department of Housing and Urban Development and, in 1993, being appointed by President Clinton as Deputy Assistant Attorney General in the Torts Branch of the Civil Division at the U.S. Department of Justice. Eva has received the Hispanic Bar Association’s Equal Justice Award, the Woman of Distinction Award from the National Conference for College Women Leaders, and the Albert Arent Pro Bono Award. Eva is an active member of numerous organizations, including Community Lawyers Inc., Mexican American Bar Association, Women Lawyers Association, National Latina Business Women’s Association, National Women’s Political Caucus, California Minority Counsel Program, and the American Bar Foundation. 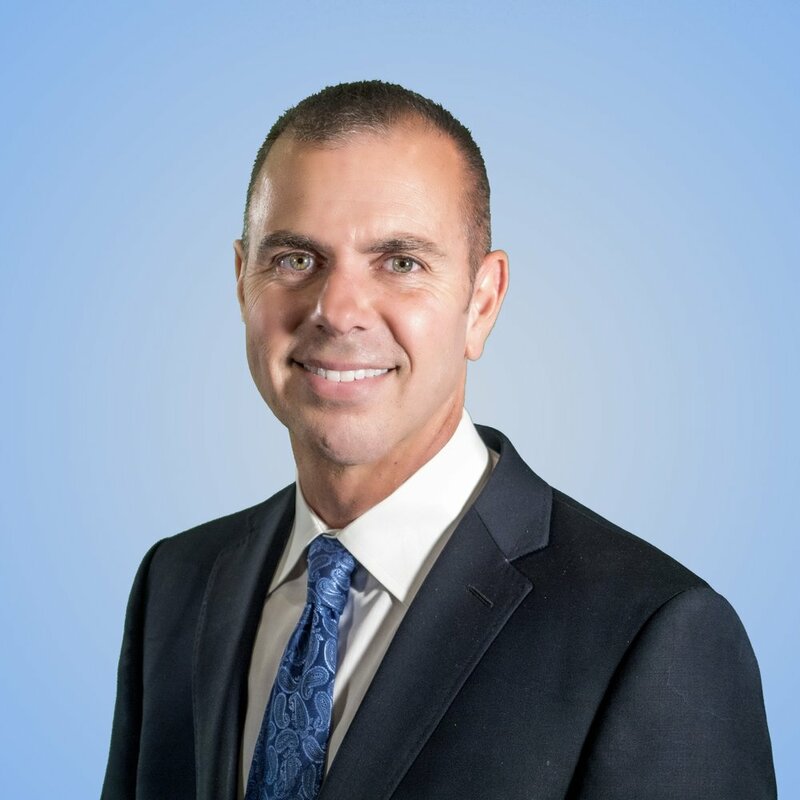 Prieto is a former federal prosecutor and trial lawyer who focuses his practice on complex civil litigation, including class actions, and white collar criminal defense. Prieto currently serves as plaintiffs’ chair lead counsel overseeing both class actions and personal injury actions in the Takata Airbags Product Liability Multidistrict Litigation, considered the largest product defect case in United States history. 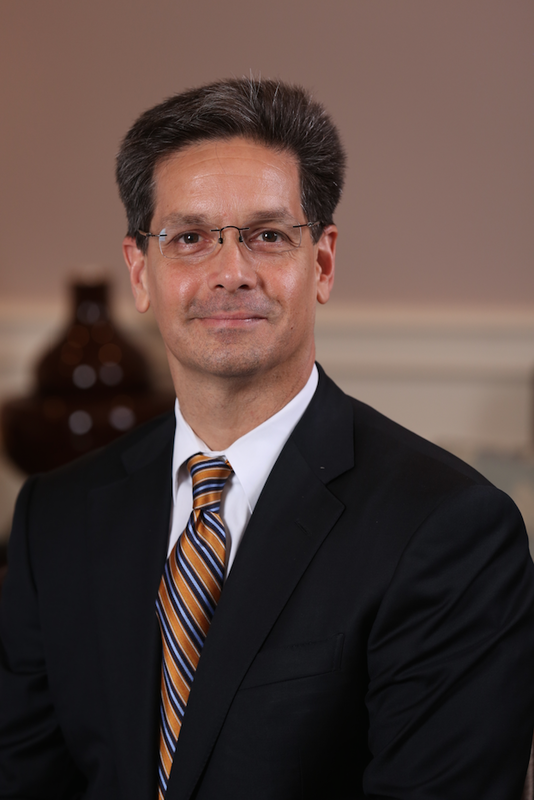 He is the only Florida lawyer on the plaintiffs’ executive committee in the General Motors LLC Ignition Switch Multidistrict Litigation, and, through his firm, also serves on the plaintiffs’ executive committee in the Checking Account Overdraft Multidistrict Litigation, representing bank customers wrongfully charged overdraft fees. Some of Prieto’s most significant engagements in his civil litigation practice have involved obtaining $1.2 billion on behalf of drivers impacted by defected airbags, and obtaining settlements of more than over $1 billion on behalf of classes of millions of bank customers who were wrongly charged overdraft fees. Angel L. Reyes & Associates, PC is the parent company of Reyes / Browne / Reilley a business litigation, mortgage default servicing, and personal injury litigation law firm. The firm has worked with executives, business owners, and individuals to resolve over 30,000 cases. Additionally, the firm has tried 250 cases to a jury verdict. These cases include business disputes, life-altering personal injury, defective products, and dangerous prescription drugs, contract disputes, partnership disputes, and other business related disputes. Angel Reyes was named to the Super Lawyers® list for 2008 - 2017, by Law & Politics magazine, a supplement to Texas Monthly. This honor is bestowed upon the top 5% of all lawyers in Texas. Additionally, the law firm is AV-rated, the highest legal rating available from the leading law firm rating service, Martindale Hubbell. Angel graduated from the University of Kansas with a BA, Texas Tech University with a MBA, and the University of Michigan Law School with a JD. Michael Rodriguez is an IP attorney and managing partner of Munck Wilson Mandala’s Austin Office. He is a lieutenant commander in the U.S. Navy Reserves and has received numerous commendations for his active duty service in both Iraq and Afghanistan. Rodriguez represents businesses in the construction, electronics, retail, restaurant, telecommunications, pet-care, vehicle manufacturing, and energy industries. Prior to joining Munck Wilson Mandala, Rodriguez worked at TXU as a senior engineer. Munck Wilson Mandala is a technology-focused law firm with offices in Dallas, Austin and Marshall, Texas, with an emphasis on patent, trade secret, trademark and other intellectual property disputes. The firm offers full-service counsel in the areas of intellectual property litigation, complex commercial litigation, intellectual property portfolio development, corporate transactions and securities, and employment law. Munck Wilson Mandala represents clients from start-ups to Fortune 50 companies. Meshach Rhoades is a partner at Armstrong Teasdale in Denver and an experienced litigator in all facets of complex commercial, regulatory and telecommunications litigation. She also has experience as former in-house counsel for a Fortune 200 company. Meshach has litigated a variety of cases regarding complex contracts, intellectual property, business torts, real estate, class actions, finance and mortgage banking litigation, and labor and employment in state and federal courts nationwide. Her clients include Fortune 100 companies, government agencies, municipalities, and closely held businesses. She also serves as co-leader of the firm’s Agribusiness and Food industry team, vice chair of the firm’s Inclusion Committee and is a member of the Women’s Inclusion Network. Meshach’s legal service also extends to the community. She co-founded the Latinas First Foundation, which honors Colorado’s unsung heroines and trailblazers, builds community, and trains the next generation of Hispanic leaders. She is immediate past chair of the Center for Legal Inclusiveness; formerly served as the national finance director and vice president of Sections and Committees for eight years and on the Hispanic National Board of Directors for over 10 years; and co-chaired the organization’s 2014 annual convention. Meshach was a mayoral appointee for the Denver Latino Commission; Leadership Council on Legal Diversity class of 2011 fellow; past president of the Colorado Hispanic Bar Association; former chair of the Diversity in the Legal Profession Committee of the Colorado and Denver Bar Associations; board member for the Colorado Hispanic Chamber Foundation; and Florence Crittenton Services Hispanic Advisory Council member. Eneida is a licensed organizational psychologist and attorney, she is a multi-faceted professional whose law practice is focused around estate law, real estate & government relations. Eneida IS co-foundeR OF the Latina Circle & AMPLIFY LATINX, social ventureS focused on developing LatinX executive and political leaders in Massachusetts, RESPECTIVELY. In 2017, she was appointed to the HOPE National Taskforce, a distinguished team of Latina trailblazers tasked with increasing Latina leadership representation at every level of public service across the nation. Eneida serves on the ABA’s Commission on Hispanic Rights and Responsibilities; and is National Co-Chair of the HNBA Latina Commission, tasked with identifying and implementing strategies to remove barriers for Latinas in the legal profession. She also serves as a director at Big Sister of Boston, Big Brothers Big Sisters of America, and Eastern Bank, the oldest and largest mutual bank in America. AMONG VARIOUS OTHER ACCOLADES, she has been recognized consecutively by PowerMeter as one of the Top 100 Most Influential Individuals in Massachusetts. ENEIDA is admitted to practice law in the Massachusetts Supreme Judicial Court, Massachusetts Federal District Court, First Circuit Court of Appeals, and the Supreme Court of the United States. Jerry G. Sanchez provides legal and regulatory counsel for banks and finance companies on a variety of banking and consumer finance matters, including compliance with the Truth in Lending Act and Regulation Z, the Truth in Savings Act and Regulation DD, the Equal Credit Opportunity Act and Regulation B, the Fair Credit Reporting Act, the Federal Debt Collection Practices Act, RESPA and Regulation X, the Electronic Funds Transfer Act and Regulation E, affiliated business arrangements, electronic banking and E-commerce, the Fair Debt Collections Practices Act, bank and thrift powers, federal preemption, legal lending limits, Texas home equity law and regulations, Federal and state privacy laws and regulations, fiduciary activities, the USA PATRIOT Act amendments to the Bank Secrecy Act and anti-money laundering regulations, and the Community Reinvestment Act. For non-bank entities, Jerry guides clients through state lending license and registration requirements, interest and usury limits, unfair and deceptive trade practices, and state escheat laws. Suvor is a skilled litigator who has extensive experience working with state Attorneys General across a range of matters. His broad practice encompasses products liability, healthcare, financial services, and white collar and investigation matters that could appear before state AGs and other government agencies. Suvor previously served as Chief of Policy and Senior Counsel to California Attorney General (now U.S. Senator) Kamala D. Harris. In that position, he was a member of the four-person executive team that supervised and operated the 5,000-person California Department of Justice. In 2009, Suvor was appointed by President Obama to serve at the US Department of Health and Human Services (HHS). From 2009-2013, he worked as a litigation attorney for the Centers for Medicare & Medicaid Services and as Special Assistant to the General Counsel of HHS. In April 2013, Daniel was recruited from HHS for a position as Senior Director of Cabinet Affairs in the Obama White House, where he coordinated logistics, communications and policy between the President and his domestic cabinet agencies (including HHS and the U.S. Department of Justice). In 2013, he won the national Hispanic Health Leadership Award from the National Hispanic Medical Association and in 2014 was selected by the Huffington Post as one of the 40 Under 40 Hispanics in American Politics. In 2016, he was selected by the American Bar Association as one of the Top 40 Young Lawyers in the United States. Manuel “Manny” is the Founder and Managing Partner of Sanchez Daniels & Hoffman LLP. Over the past 30 years the firm has earned a reputation as one of the premier civil litigation defense firms in the State of Illinois and has grown into the second largest minority-owned law firm in the United States. Manny is a highly accomplished trial lawyer, specializing in multi-million-dollar complex product liability, construction, professional liability, employment law, civil rights, commercial and toxic tort defense litigation. He has been the lead counsel and successfully tried to verdict more than 75 cases in both State and Federal Court in Illinois, Missouri, and Indiana. Highly regarded by his peers, he is a multi-term elected member of the Illinois State Bar General Assembly, past Co-chair of the ABA Commission on the Jury and in 2013 he was selected as the recipient of the 2013 Distinguished Award for Excellence by the Illinois Bar Foundation. Since the founding of the Law Firm in 1987, Manny has literally helped raise millions of dollars for eleemosynary causes including Chicago Scholars, Gary Sinise Foundation, and his alma maters, Northern Illinois University, University of Pennsylvania Law School and Holy Trinity High School. Manny has received three gubernatorial appointments including appointment by Governor Edgar in 1996 to the Inaugural NIU Board of Trustees, where he served for 15 years, appointment by Governor Quinn to the Illinois Sports Facilities Authority in 2011 and appointment by Governor Rauner to Chairmanship of the Illinois Sports Facilities Authority. Additionally, in 2011 Manny was appointed by President Barack Obama to the President’s Advisory Commission on Educational Excellence for Hispanics. 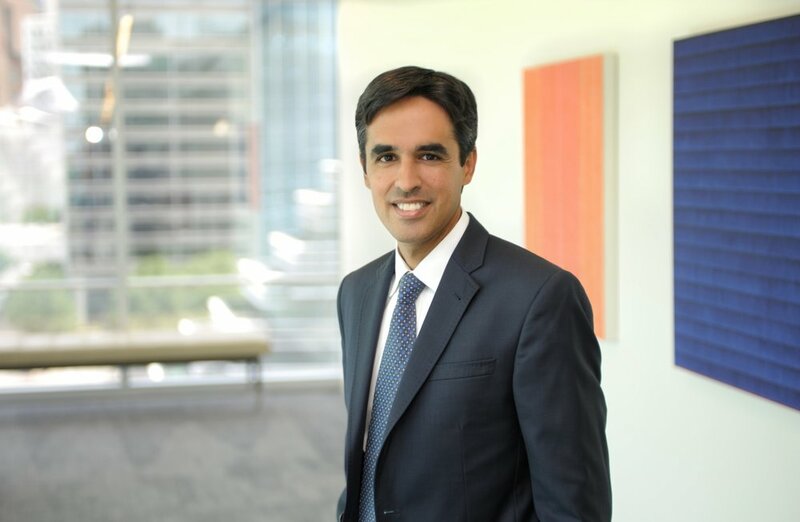 Hector Torres is a name and co-founding partner of Kasowitz Benson Torres LLP and one of the nation’s top lawyers for antitrust and other complex commercial cases. Hector has been honored as a 2017 “M&A and Antitrust Trailblazer” by the National Law Journal in recognition of his pioneering work in antitrust cases. He was also recognized as a 2015 “Litigation Trailblazer” by the National Law Journal, for his use of innovative strategies and exemplary achievements in the legal profession. He serves as a member of the firm’s Management Committee and the New York State Supreme Court, Appellate Division, Committee on Character and Fitness. Hector contributes to his Bronxbased community through the St. Luke’s Education Foundation. He established a mentoring program connecting students from challenging Bronx neighborhoods with Latino attorneys to encourage postsecondary education and goals. He recently led a major fundraiser in Manhattan to raise funds for Puerto Rico in the devastating aftermath of Hurricane Maria. Pedro Jaime Torres-Díaz is a Principal in the San Juan, Puerto Rico and Miami, Florida offices of Jackson Lewis P.C. He counsels and represents national and multi-national employers in all areas of employment law. Mr. Torres-Díaz has successfully defended employers in Florida and Puerto Rico in all types of courts and administrative hearings before local and federal agencies. He is the Immediate Past President of the Hispanic National Bar Association; a Fellow of the American Bar Foundation; and a Commissioner on the Commission of Racial and Ethnic Diversity in the Legal Profession of the American Bar Association. After completion of his undergraduate studies, Mr. Torres-Díaz worked as a fiscal analyst in the corporate headquarters of McDonnell Douglas in St. Louis, Missouri. After his graduation from law school, he clerked for the Honorable Aida M. Delgado-Colón, United States Magistrate-Judge (now Chief United States District Judge), at the United States District Court for the District of Puerto Rico. Emmanuel has more than 15 years of experience on Latin America-related investigations and litigation. He has worked on matters involving bribery, bid rigging, procurement fraud, money laundering, self-dealing, accounting fraud, enforcement of foreign judgments, and cross-border contract and toxic tort litigation. Emmanuel was recently recognized as one of the top “40 under 40” investigators in the world by Global Investigations Review. Beyond his investigation and litigation experience, Emmanuel’s recent engagements also include counseling companies on: internal controls, data privacy, and implementing and enhancing compliance programs; Foreign Corrupt Practices Act (FCPA) transactional due diligence; compliance-related clauses in acquisition, joint venture, EPC, and subcontractor contracts; and contractual post-closing adjustments, earn-outs, breach of representations and warranties, and indemnification claims. Emmanuel also maintains an active pro bono practice taking a leading role in the Firm’s representation of hundreds of Latin American immigrant women and children in asylum cases largely stemming from domestic abuse or political persecution, including appearing before immigration officers and representing asylum applicants in Immigration Court. Julio Vega has almost 30 years of experience representing public and private companies in a broad range of industries, including biotechnology, medical devices, nanotechnology, advanced materials, software, networking, e-commerce, and fintech. He has experience counseling clients on venture capital and other private equity financing transactions, public offerings, mergers and acquisitions, joint ventures, strategic alliances, licensing, and corporate partnering transactions. Julio regularly counsels clients on general corporate, employee compensation, and corporate governance matters. He is also very active in the representation of start-up and emerging growth companies in the life sciences and technology industries. In addition, Julio has experience advising on international transactions and is fluent in Spanish. He is a leader in his field and has been recognized as a leading lawyer by Chambers USA, Chambers Global, America’s Leading Lawyers for Business, Legal 500 US, The Best Lawyers in America, Super Lawyers, Lawdragon 500 and LMG Life Sciences. Kevin Vela is a founding partner at Vela Wood P.C. He focuses his practice on venture financing, fund formation, and M&A activities. In recent years, he has represented both startups and investors in over $100M in venture financing. Kevin was named a 2014, 2015, 2016, and 2017 Super Lawyers Rising Star, was honored by D Magazine as a Best Lawyer in Dallas, and is a Texas Bar Foundation Fellow, an honor granted to 1/3 of 1% of Texas attorneys. Kevin is a founding member of The Dallas Angel Network, which connects entrepreneurs with angel investors in Dallas, and he co-manages a Dallas-based venture capital fund, Blossom Street Ventures, which is on its fourth fund. Kevin serves as a mentor for the Young Leaders of the Americas Initiative (YLAI), which pairs professionals from Latin America with professionals in their field in the United States for a 6-week fellowship program. This year, Kevin and his YLAI fellow founded Pitch Americas, a startup pitch competition to empower entrepreneurs in Latin America. Ybarra Maldonado is a human rights activist, author, and motivational speaker. Born in Douglas, AZ, Ybarra Maldonado is an aggressive trial attorney who has attained not guilty verdicts in both state and federal courts as well as attaining victories at the 9th Circuit Court of Appeals. In the immigration context, his office works on high profile cases that have been featured in both the national and international media. His firm has assisted community members in attaining U Visas, VAWA, adjustment of status as well as winning cancellation of removal and asylum cases. His book “Born on the Border” has been a required reading in university classes across the country, including in an immigration class at Harvard Law School. He is a board member of Los Abogados, co-chair of the litigation committee for Arizona’s American Immigration Lawyer’s Association chapter, and a pro bono attorney for the Phoenix chapter of No Mas Muertes. He has received awards from Super Lawyers, the American Institute of Criminal Law Attorneys, as well as has been recognized among the nation’s Top One Percent from the National Association of Distinguished Counsel. 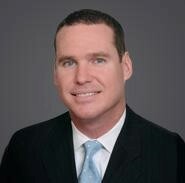 Stephen N. Zack is an Attorney and Partner at Boies Schiller Flexner LLP. He was nominated in 2013 by President Barack Obama for the position of Alternate U.S. Representative to the Sixty-eighth Session of the General Assembly of the United Nations, and he served as Senior Advisor to the United States Department of State. From 2010 to 2011, he served as the first Hispanic President of the American Bar Association. He was also the youngest President of the Florida Bar (1989-1990). He was appointed by Governor Lawton Chiles in 1997 to re-write the Florida Constitution as a member of the Florida Constitution Revision Commission. Mr. Zack is a Federal Judicial Nominating Commission member, and Fellow of the International Academy of Trial Lawyers. He served as Chair of the ABA House of Delegates, Chair of the ABA Rule of Law Initiative, and the ABA Latin American Law Initiatives. Mr. Zack is a member of the Council on Foreign Relations and the American Law Institute. He is a Life Fellow of the American Bar Foundation. Zahralddin-Aravena is a Shareholder, Director, and Practice Chair at Elliott Greenleaf. He founded the Elliott Greenleaf Delaware office in 2007, which specializes in business law, as its first Managing Shareholder. He is a litigator and advises businesses in compliance, corporate formation, corporate governance, insolvency, distressed M&A, commercial transactions, cyber law, regulatory actions, and cross border issues. He served as special litigation counsel in Washington Mutual, the largest bank insolvency in U.S. history. He negotiated a settlement of more than $50 million for Nortel’s permanently disabled former employees and then was granted a favorable Internal Revenue Service private letter ruling which saved his clients $2.6 million. He received the 2014 Large Company Transaction of the Year Award from the Turnaround Management Association for his work in the sale of the U.S. and China assets of a publicly traded company. Mr. Zahralddin is the new Co-Editor of Reorganizing Failing Businesses, the American Bar Association’s treatise on chapter 11 practice. He received the Delaware State Bar Association’s MJL “Excellence in Community Service Award” in 2016. He is a National Association of Corporate Directors Governance Fellow and a Fellow of the American Bar Foundation. Keep this page bookmarked for updates regarding 2018 Nominations! As Always, thank you to all of the supportive firms that chose to advertise in this edition. Check out our print edition for other law articles that cannot be found online!